With Republic Act 10963 (infamously known as the Tax Reform for Acceleration and Inclusion or TRAIN Law) taking effect on the first day of 2018 (yesterday), there has been a lot of confusion as to whether it should be implemented since the government has yet to issue proper Implementing Rules and Regulations (IRR). The Supreme Court reiterated the well-established doctrine that every law has in its favor the presumption of validity, and the mere absence of implementing rules cannot effectively invalidate provisions of a law. As applied to the TRAIN, RA 10963 will be deemed valid as long as reasonable construction of the same can effect its proper implementation. It is only when the provisions of the law are so vague as to prevent reasonable interpretation and application can the void-for-vagueness doctrine be invoked. Thus, the TRAIN shall continue to run even in the absence of an IRR. The new tax rates in the TRAIN law shall apply, and taxpayers are expected to comply with the new law and its provisions. However, Mr. Bentulan does say that the lack of solid guidelines such as IRRs will mean a lot of confused taxpayers come the new year. It’s been reported that at least one automaker, Lexus, has already enacted new prices to greet would-be buyers in the new year while other brands have yet to announce any changes (Hyundai for instance, is still sticking to their 2017 price until stocks run out). 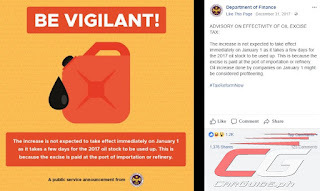 It has even resulted in the Department of Finance calling the planned move of petroleum companies to enact the revised excise tax on gasoline, diesel, and LPG yesterday “profiteering” on their official Facebook page. The Philippine STAR has reported that Bureau of Internal Revenue (BIR) Commissioner Caesar Dulay has issued Memorandum Circular 105-2017, revising the withholding tax on compensation. This serves to “kick off” the series of changes under the TRAIN. The memo states that every employer making compensation payments to their respective employees should deduct and withhold from such compensation a tax determined in accordance with the revised withholding tax table. Furthermore, the BIR will be holding public consultations about the TRAIN Law on January 11 and 12 prior to its issuance of Revenue Regulations (RR) covering items such as the revised excise tax on automobiles and petroleum products. With that, expect a clearer picture of how the new excise tax law will affect vehicle and petroleum prices (among a bunch of other things) by the end of the month (at the earliest). For now, there’s no stopping the implementation of the new law; only the governance feels more like the wild west than a well-coordinated effort. We can assume that the old existing rules and regulations (BIR Revenue Regulations No. 25-2003 and No. 60-2003) governing the imposition of excise taxes on automobiles will essentially be the same or similar to the new rules and regulations to govern the imposition of excise taxes on automobiles under the new law. The existing rules and regulations provide a strict procedure of inventory, control, approval, and collection of excise tax payments from the manufacturer, assembler or importer before removal of the car from the place of production or assembly, or from the custody of the Bureau of Customs. In simple terms, the liability for excise taxes is determined by the removal of the car from the place of production or assembly, or from the custody of the Bureau of Customs. The liability for excise taxes is not triggered by the date of delivery to the dealership or to the buyer. 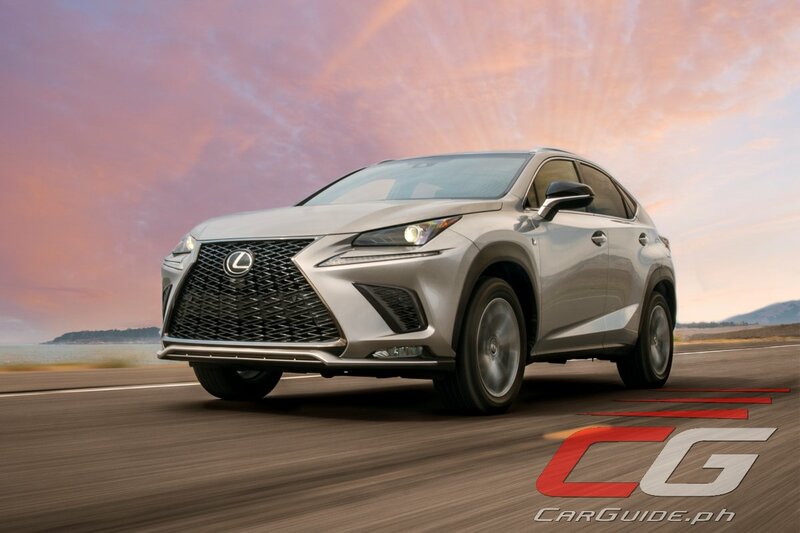 It is possible that the excise taxes were paid, and that the delay was simply in the delivery to the dealership and/or buyer. The taxation of imported CBU motor vehicles which arrive at the Bureau of Customs before the effectivity of the new excise tax law will be governed by the existing tax law prevailing at the time of their importation into the Philippines, provided that the corresponding Import Entry Declaration has been filed and the appropriate taxes and customs duties have been paid to the Bureau of Customs. While this clears up when the excise tax is paid, it still doesn’t give a proper procedure for the different companies to follow. 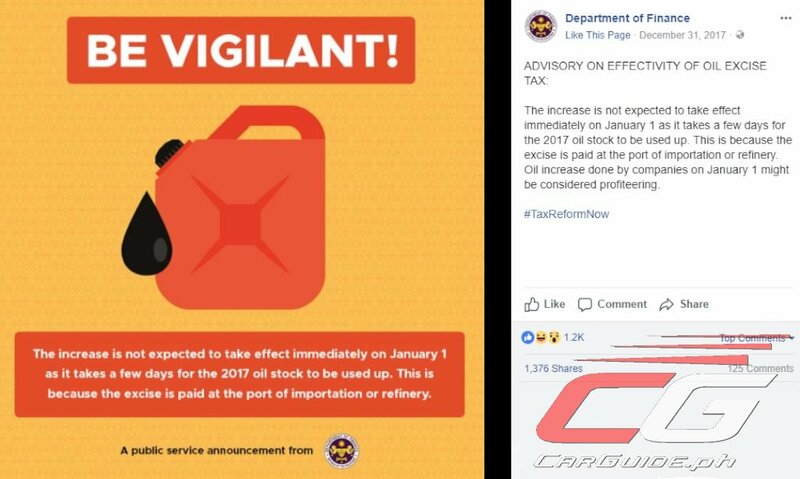 For example, are companies mandated to slap on the previous excise tax on fuel and cars that cleared customs before 2017 or are they allowed to adjust them? Can the government track which stocks of cars and fuel arrived before 2018 and punish companies that stand to profit from the change in tax structure?